Manager Ivan Golac was able to welcome back the experience of Maurice Malpas and Dave Bowman as we set about trying to record our first victory at Tynecastle since March 1985. After only two minutes United were unlucky not to go ahead when Christian Dailly got on the end of Craig Brewster's header and whipped in a shot which Walker touched onto the bar. United were unlucky on the quarter of an hour when Alex Cleland's header from an Andy McLaren cross dipped narrowly over. 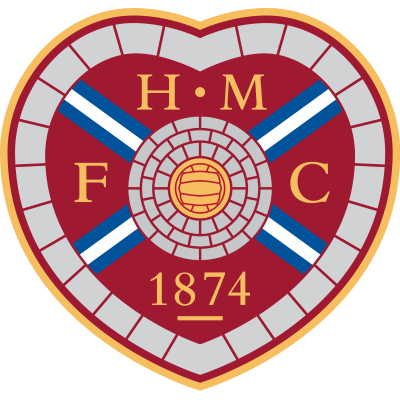 Hearts sparked into life for the first time midway through the half when Alan McLaren's free-kick was deflected inches past Alan Main's right hand post. From the ensuing corner, Alan Main palmed over a Hogg header and then had to do likewise to a fiercely dipping lob from Colquhoun under severe pressure from Maurice Johnston. Seven minutes later Hearts went in front against the run of play. Colquhoun's corner fell to Hogg whose shot rebounded off John Clark to the feet of Maurice Johnston who wasted not a second in flashing a shot past Alan Main from inside the six yard box. Immediately on the resumption United had an appeal for a penalty dismissed when Christian Dailly met John Clark's cross and his header was cleared by McLaren with the apparent aid of an arm. the Tynecastle hoodoo looked like continuing especially when Andy McLaren had to go off holding his injured arm, but less than two minutes after coming on to replace him, John O'Neil was to apply the finishing touch to United's equaliser. Craig Brewster got his head to Alex Cleland's cross and though Walker tipped it on to the bar, John O'Neil was underneath it as the ball dropped to the ground he it prodded it home. It was no more than United deserved because Alan Main had been relatively idle since Hearts first half flurry, though he did come to our rescue before the end. 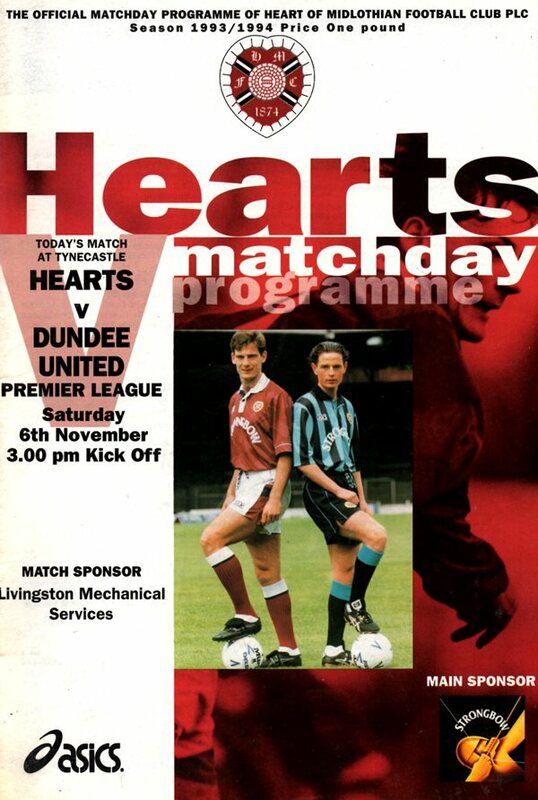 Seven minutes remained when Craig Brewster shot over, but Hearts swept upfield and Maurice Johnston capitalised on a Brian Welsh error. However, Alan Main parried the shot and John Clark diverted the ball away from John Colquhoun at the expense of a corner. A draw was a fair result but extended United's run without a victory at Tynecastle to 17 games!